Hereâs a cool Ryu Hadoken tattoo for all you geeky guys out there. Itâs really amazing to see some fanatics really go to extremes to show their love and passion for something. 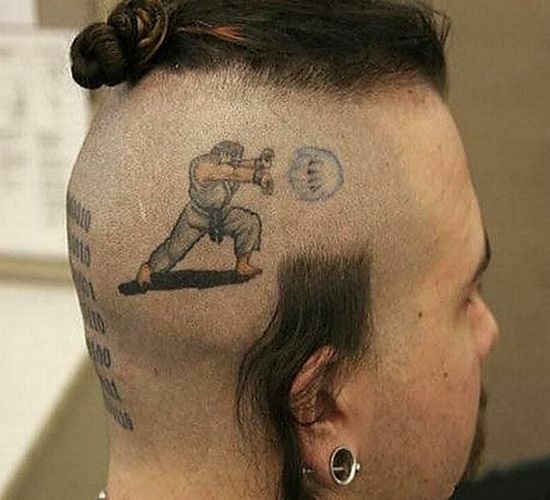 A geeky tattoo fanatic got this gaming creature (in action) tattooed on his head. Truly geeky I must say! ← Physics mania – Pi Tattoo on lips!